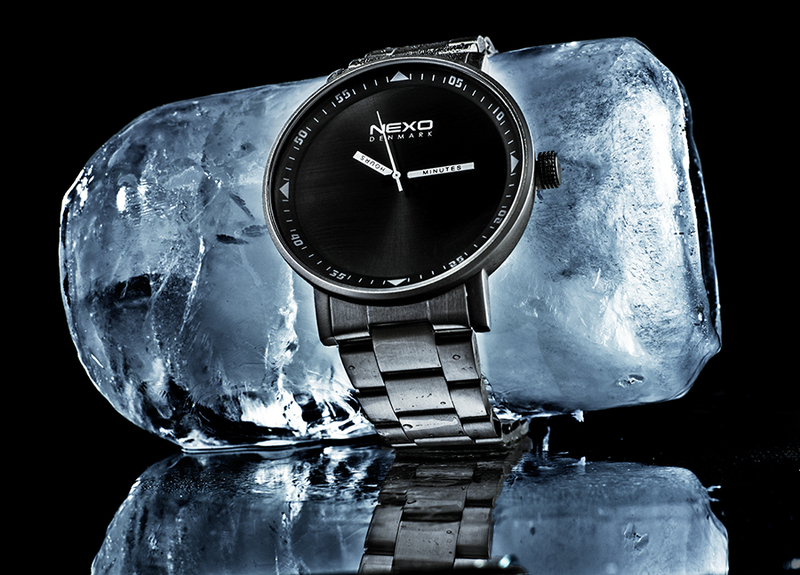 The idea was actually inspired by where Martin (the founder of Nexo) was when I got the assignment, he was on Greenland.. I had a hard time getting the watch fixated so i found that watches wrap perfectly around a beer can.. Then I filled the can up with water and when it was hard i ripped it open. There you go the prefect watch stand, for at least half an hour depending on the weather.